Ahh yes, what would projects be without an excuse to use tools. Since the dawn of man, tools have been a celebrated category of personal property that rivals jewelry and fine art. Well, that's my take on it. 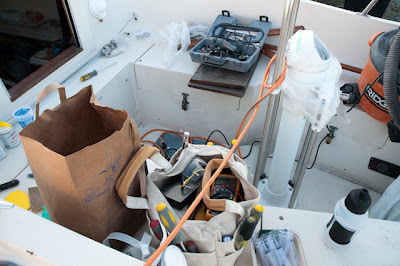 This section is about tools which you will need if you are considering a major boat refit. It will also be useful if you are planning a series of small projects over a few seasons. Either way, this section should help you plan your purchases a bit.